MeraCRM sales CRM software makes managing customer relationships easy and intuitive. 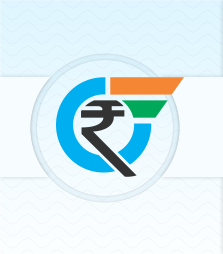 MeraCRM is made in India and made for India. We understand Indian business better, so MeraCRM is leading CRM for India. CRM is designed to handle all business processes starting from lead management to receiving an order and processing it. It involves collection and analysis of data at each step, which helps different departments define the purchasing patterns and sales trends easily. However, all these functions related to customer behavior will not be used to its full potential unless the software is intuitive and has a great user interface. Hence, to increase CRM adoption, make sure to invest in an easy to use software system. If your main driver to adopt CRM was to increase the overall efficiency of your organization, then ensure that it is available for use on different platforms. If your sales staff is in the office, they can use the CRM system on their desktop. But what if they are traveling continuously? Or what if they bring their own device to work? Hence, before making the purchase, check whether the CRM system can be used on tablets, laptops, phones and desktops. If you are adopting CRM to change your business processes, then it is essential that you build your own dashboard that highlights the functions your organization tends to use the most. If you want to improve customer service, you may wish to focus on coordination of sale and delivery of product through CRM or you may wish to accelerate sales and marketing strategies with CRM. For both these strategies, the functions used within the CRM software are different. Hence, customize it for successful CRM implementation. A well thought out system can do wonders for the organization in the longer run. At the end of the day, no matter how sophisticated your CRM system is, successful CRM implementation cannot take place without the full support of your employees and team. Therefore, educating the team should be a priority for any organization planning to install CRM Software. CRM training requires time and effort but reaps benefits instantly. During the CRM adoption phase, it may be tempting to load the new system with all the existing customer data you have. This will not improve the customer service you provide, but it will definitely reduce the quality of your data. Quality data is essential for the success of your new CRM software. Hence, import only quality data on to the new CRM system. 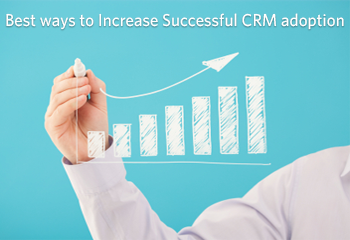 In conclusion, follow these easy tips to increase CRM adoption in your organization. Any modern business needs CRM. But adopting it in place of an existing system can be tricky and time consuming. Copyright Ⓒ 2003-2019 MeraCRM, All rights reserved. Verification code sent to your mobile!